Combat Action: Deal 3 damage to a non-unique enemy engaged with you. 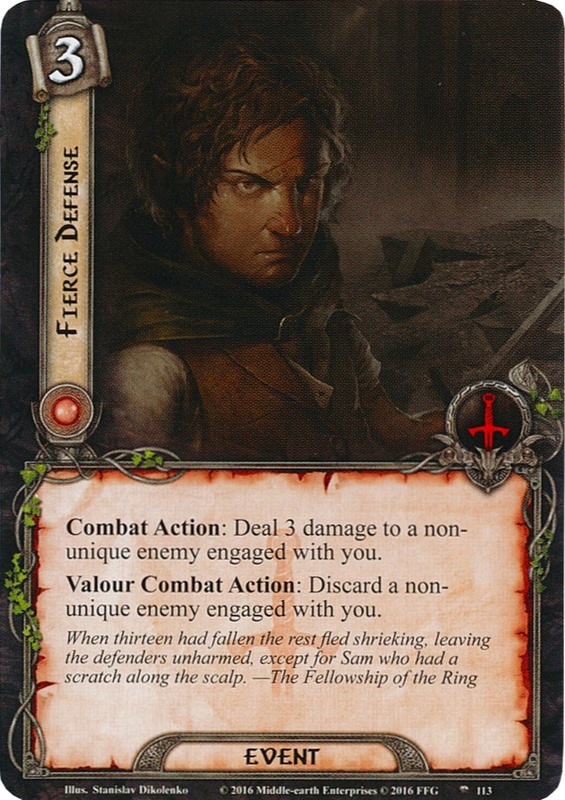 Valour Combat Action: Discard a non-unique enemy engaged with you. When thirteen had fallen the rest fled shrieking, leaving the defenders unharmed, except for Sam who had a scrath along the scalp.